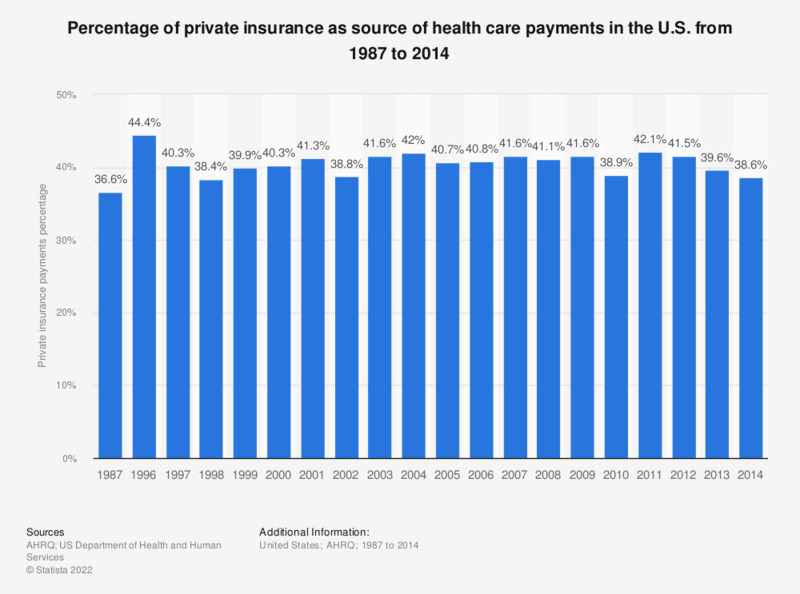 This statistic shows the percentage of private insurance as source of health care payments in the United States from 1987 to 2014. In 2014, the share of private insurance in the United States stood at 38.6 percent. Private insurance includes any type of private insurance payments reported for people with private health insurance coverage during the year.